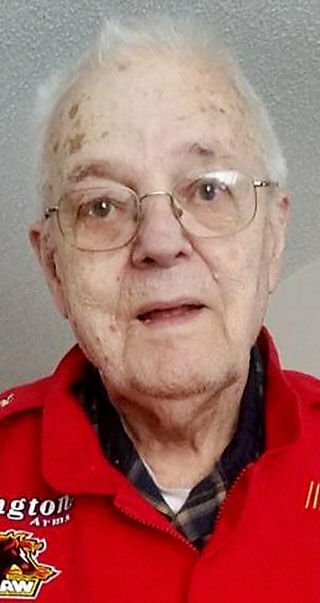 Ronald E. Vold, age 91, of Eau Claire, WI passed away peacefully on Sunday, February 17, 2019 surrounded by his family at his residence. Ronald attended Eau Claire High School until he joined the U.S. Navy at age 17. He was serving on the Richard P. Leary when World War II ended. He owned a moving business and drove cab until he performed 37 years of great service in the HVAC industry. He loved attending the dirt track races at the Eau Claire, Menomonie, and Rice Lake speedways. He especially enjoyed watching his son Michael participate. He enjoyed the camaraderie with his racing family in the pits. He had a front row seat for Sunday’s Daytona 500! He is survived by his wife of 32 years, Charlotte Vold; children, Mike (Cynthia) Vold, Steven Vold, and Barbara Smith; step-sons, James and Marty; siblings, John Vold and Janice Washburn. Along with 18 grandchildren and 13 great-grandchildren and many nieces, nephews and friends. Ron is preceded in death by his parents, Jhalmer Vold and Orra (Bollom) Vold; his loving wife, Alice (Sather) Vold; his daughter-in-law, Laurie Vold and his step-son Michael. Visitation will be held on Wednesday, February 20, 2019 from 4:00 pm to 7:00 pm at Lenmark-Gomsrud Linn-West Chapel, 1405 N. Clairemont Ave., Eau Claire, WI and again one hour prior to the service. A funeral service will be held on Thursday, February 21, 2019 at 11:00 am at the funeral home. In lieu of flowers please make donations in Ron’s name to St. Joseph’s Hospice. A special thank you to the staff at St. Joseph’s Hospice for their loving care and support during his final days. Online condolences may be shared at www.lenmarkfh.com.